Got a question about chiropractic care or how it could help you? Listed below are the most frequently asked questions (FAQ) that we have received in over 30 years of practice. If you have any other questions please contact us and we will get back to you with the answer. What happens when I go to the chiropractor? The aim of your initial visit is to establish what is causing your symptoms and how to correct the cuase. Once we have that information we sit down with you, discuss what problems we discovered and the treatment options available to you before any treatment is commenced. Chiropractic is widely recognized as one of the safest drug-free, non-invasive therapies available for the treatment of neuromusculoskeletal complaints. Although chiropractic has an excellent safety record, no health treatment is completely free of potential adverse effects. The risks associated with chiropractic, however, are very small. 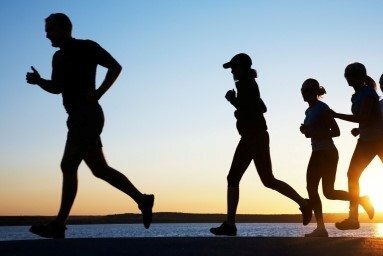 some patients feel experience mild soreness, stiffness or aching, just as they do after some forms of exercise. Current research shows that minor discomfort or soreness following spinal manipulation typically fades within 24 hours. Some reports have associated high-velocity upper neck manipulation with a certain rare kind of stroke, or vertebral artery dissection. However, evidence suggests that this type of arterial injury often takes place spontaneously in patients who have pre-existing arterial disease. The best evidence indicates that the incidence of artery injuries associated with high-velocity upper neck manipulation is extremely rare—about one to three cases in 100,000 patients who get treated with a course of care. This is similar to the incidence of this type of stroke among the general population. Our Chiropractors are highly trained professionals who have undergone an extensive five-year university degree. The purpose of our physical examination is to assess your condition and discover if chiropractic can assist you. 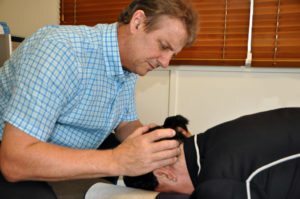 Chiropractors are trained to identify patients who have special risk factors and to refer those patients to the most appropriate medical specialist. 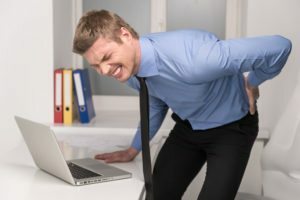 If we believe that chiropractic care can help you we will discuss with you the most appropriate technique for your condition. The disc is a soft pulpy “shock absorber” located between the two vertebra. It has a fibrous outer ring which holds in a jelly-like material. A “slipped disc“ is a common way to refer to a wide variety of disc problems. However, a disc can’t slip because of the way it attaches to the spinal bones above and below it. 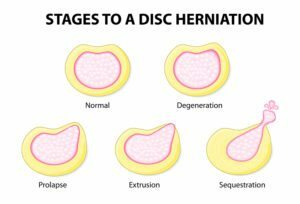 A disc can bulge,tear, herniate, thin,dry out and it can collapse. It definitely can’t “slip out of place”. Find out more detailed information about disc problems. This is a common misconception. Low back pain or neck pain may feel as if something is “pinched” however this is rarely the case. The most likely cause of your pain is that your spine is not functioning correctly and has caused problems such as joint strain and swelling in your spine. 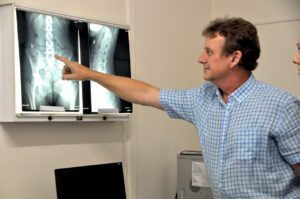 There are many different causes of spinal pain and this is why an accurate diagnosis is so important before any treatment is commenced. No. Chiropractors are primary health care practitioners. You can contact us directly for an appointment. At your examination your chiropractor will determine if x-rays are required. If x-rays are necessary, you will be given a referral to have them taken at a x-ray clinic. These costs are fully covered by Medicare. If you have had any spinal x-rays, bring them with you on your first visit as this will help determine the best treatment for you. Some adjusting methods can produce a popping sound when the gas and fluids that exist in the joint shift. It’s much like opening a bottle of champagne or removing a suction cup. The sound isn’t a guide to the quality or need of the adjustment. There is a common misconception that the noise is bones going back in place or rubbing on each other, this is definitely false! An adjustment is not normally painful however in some cases, mild soreness to the area being adjusted may be experienced. These symptoms are often a normal part of the healing process as your spinal movement improves. Every patient is individually assessed and a individualised management plan is given depending on your diagnosis and your health goals. Some patients require initial intensive treatment over many weeks, followed by rehabilitation and then maintenance adjustments, whereas others may only require a short course of adjustments to resolve their problems. Whilst some patients experience almost instant relief nearly all patients are feeling much better within one to two weeks. There are many factors that affect your rate of healing such as your age, the type of injury, your general health and how long you have had the problem. Will I have to go to a chiropractor forever? How long you see your chiropractor for is entirely up to you. Some patients only see their chiropractor when they are in pain, others choose to have ongoing care as part of the overall health plan. During your visits you’ll be presented with information regarding the aims of each phase of care and how it may help you. We are happy to provide whichever type of care that you choose. No. Adjustments are so specific even your chiropractor can’t adjust themselves. Some people can make their joints “pop” frequently however this this can actually make your problems worse in the long term. Is it ok to see a chiropractor if I am pregnant? Yes!!!! Many pregnant mums, new mums and babies receive chiropractic care. 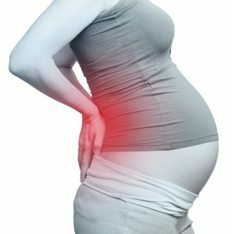 Some mothers find that chiropractic adjustments during pregnancy helped with their back pain and other related musculoskeletal pain. Our adjusting methods are always adapted to a patient’s size, weight, age, and condition of health to provide the most suitable care. Will osteoporosis prevent me from getting chiropractic care? Falls you have when learning to walk, riding a bike, and other childhood activities can potentially cause spinal problems. While a bandage, some comforting words and hugs can help the bruises, damage to spine function is not detected. Sometimes childhood symptoms that are attributes to “growing pains” can also be related to reduced spinal function. Chiropractors have long believed that regular chiropractic check-ups for children may be able to identify these problems early and help avoid musculo-skeletal problems later in life. Chiropractic adjusting procedures are always modified to a child’s spine. Can I tell if my spine is working properly? Unfortunately, you can’t. Whilst spinal problems will eventually cause many symptoms, they can often be present and undetected for a long time. This is why we recommend periodic chiropractic check-ups to detect and correct spinal changes for patients that are not experiencing any symptoms. What if getting my neck treated makes me nervous? 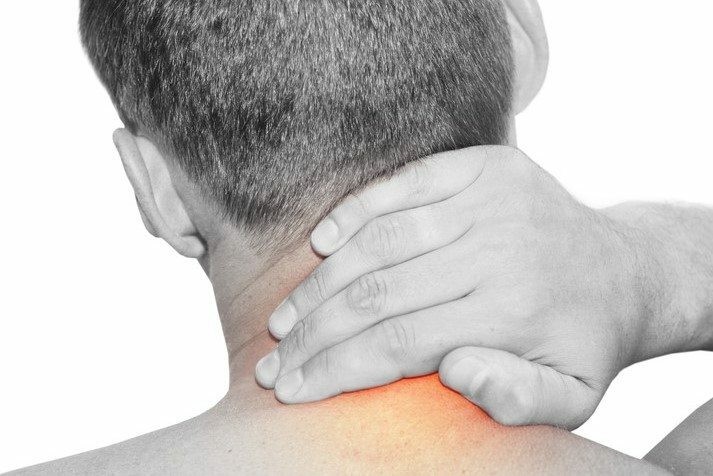 There are many techniques that do not involve “manipulation” that we can use to try to correct neck problems. We will only include neck adjustments in your treatment if there is an objective clinical reason for doing so. We will only use these techniques after we have discussed with you and are happy with the treatment. We don’t include neck adjustments in your treatment if there are any indications that you would be at risk. Talk to us about your concerns. Can I have chiropractic care after spinal surgery? Yes. We treat many patients who have had spinal surgery. Specific types of treatment are designed that avoid the surgically modified areas of your spine and correct and maintain the rest of your spinal function. Is chiropractic care covered by Medicare? Under Medicare’s Enhanced Primary Care (EPC) program patients are able to be covered for up to five chiropractic visits per year. Patients must be referred by their GP. Feel free to speak to us further about this option. Is Chiropractic Care covered by Workers Compensation and Veterans Affairs? Patients with a Work Cover injury first need to see their GP and get a referral to the chiropractor. In addition, your supervisor at work needs to lodge the necessary papers concerning the injury, along with the referral to Work Cover. Work Cover will assess the claim and if accepted will allot a ‘Claim Number’. When the claim number is available your chiropractor can forward the cost of your visits directly to Work Cover. 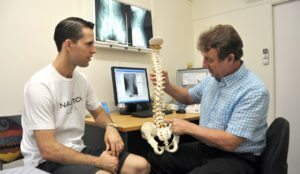 Veterans wishing to see a Chiropractor also need a referral from their GP; this referral is valid for 12 months, after which time a new one is required. At the first appointment we also need to take details from your Vet Card. After each visit you are required to sign the treatment form and the account is sent directly to Veterans Affairs for payment. Haven’t found the answer to your question? Ask us!